Films were being made in New Zealand since the early days of the medium, but it was a long time before the country found box office success or notable acclaim overseas. This came with what was later dubbed the New Zealand New Wave, which began in the late 70s when the New Zealand Film Commission was established. On top of this, perhaps more importantly, the government introduced tax breaks for filmmaking which kick started a boom in Kiwi productions for about half a decade. One of the key titles which set these changes in motion was Roger Donaldson’s Sleeping Dogs (which Arrow released on Blu-Ray last month) and the tax breaks and Film Commission made it easier for him to make his next film, Smash Palace. Garnering rave reviews from several highly respected American critics after its initial screening at Cannes, it provided Donaldson with the recognition required to make a move to Hollywood, where he’s lived and worked ever since. He went on to enjoy a fairly successful career in fact, directing a mix of commercial and critical successes such as The Bounty, Species and Thirteen Days. He’s still keeping busy to this day. But let’s get back to Smash Palace, which is coming out on Blu-Ray in the UK by Arrow Academy as part of their own mini new wave of New Wave releases. It tells the story of the crumbling marriage between Al (Bruno Lawrence) and Jacqui (Anna Maria Monticelli). They moved to the titular scrap yard after Al’s dad died 8 years ago. Over that time Al grew attached to the simple life there and spends much of his free time doing up a race car to start racing professionally. Jacqui is fed up though and wants to sell up and move somewhere more comfortable. In amongst all this is their daughter Georgie (Greer Robson-Kirk), who loves playing in the garage with her dad, helping him out now and again. The tensions come to a head when Jacqui makes small steps towards a relationship with Al’s friend Ray (Keith Aberdein) and soon after tells her husband she wants to leave him. Al doesn’t take this well and, particularly after he loses most of his access to Georgie, his ways of dealing with the situation get ever more erratic and dangerous. This all builds to a shocking conclusion where he truly takes things too far. The press for this describes it as New Zealand’s answer to Kramer vs Kramer and that’s pretty accurate. The melodrama surrounding the family’s problems is there, but here we get added motor racing sequences and action thriller elements as it moves on. That makes it sounds like a recipe for disaster, but Donaldson treads the fine line between satisfying, realistic drama and genre thrills deftly. The film always leans most closely towards the dramatic side of things though. The more violent scenes towards the end are tinged with sadness and desperation rather than excitement. Even the racing scenes have weight behind them through fear for what state Al is in at the time and what he might do, though these scenes are viscerally exciting due to a superbly effective car-mounted camera shot. Sequences such as these and most notably the finale are possibly a bit extreme for what is ostensibly a small scale family drama, but a sense of realism is maintained throughout. On top of the naturalistic production design and gorgeous but gritty cinematography, this is partly achieved through a stunning central performance by Lawrence. He sadly died only a decade or so later at the relatively young age of 54. He was a big name in the New Zealand film industry back in the day and this shows why he was so well known. It’s a difficult role to pull off as his character does some unforgivable and often foolish things, but there’s enough empathy and charisma provided to keep you on his side to an extent. The rest of the cast are solid too, with even young Greer providing a wonderfully natural portrayal of a child caught between fighting parents. Indeed, some of the close up asides of her during her on-screen parents’ arguments provide the crux of the audience’s sympathies and these moments are incredibly touching and believable. A minor complaint I’d bring up is with the music. I found the soundtrack rather dated and cheesy at times, with naff saxophone riffs slightly spoiling some of the tender moments. I wasn’t totally convinced by the final payoff either, which feels like a bit of a cheap gag at an otherwise powerful moment. The final act up to this point is incredibly tense and uncomfortably moving. 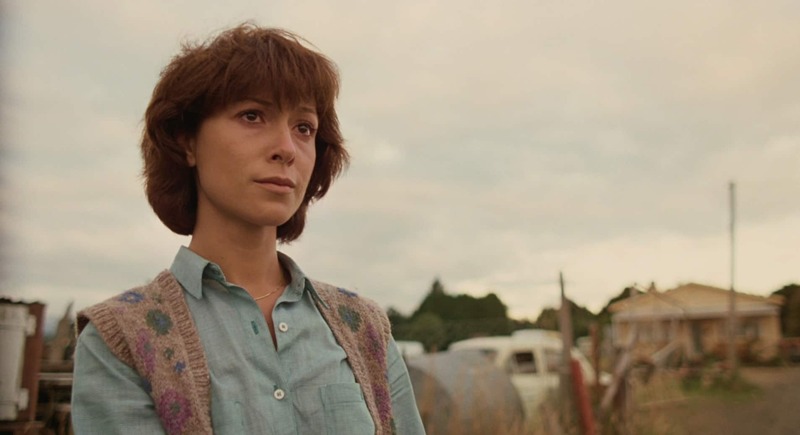 Overall then, although it plays things rather big at times, its bleak tone, some wonderful performances and a gritty but beautiful presentation make for a tough, unique spin on the divorce drama. 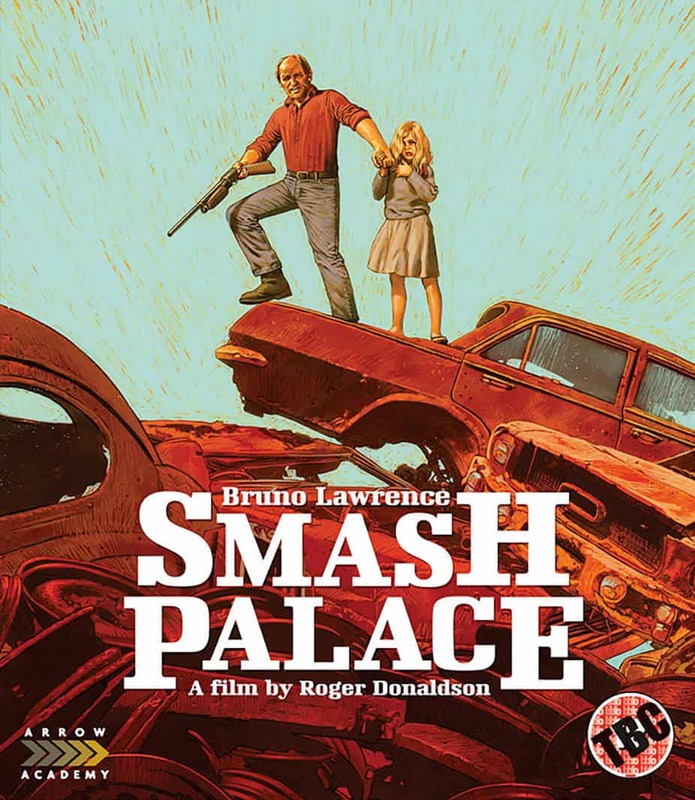 Smash Palace is out on 28th May on Blu-Ray in the UK, released by Arrow Academy. It looks and sounds fantastic, with rich colours and detailed textures. The commentary and making of are both very good. There’s a bit of repetition in terms of anecdotes, but there’s enough difference between them to warrant watching both.